Out of a profound passion for wine, and at a time where the consumption of wine was an exclusive privilege of the upper class, the winemaker Peter Mertes founded his own winery in 1924. His mission: to make wine accessible to people from all walks of life and to share his passion for wine with as many people as possible. Now as in the past, the liberal thinking of our company founder remains deeply anchored in our company philosophy. We believe that, primarily, wine is supposed to taste good and contribute to the enjoyment of life. Therefore, it is with passion and true ambition that the staff – many of whom privately run their own wine estates – work to offer wines that tastefully accompany the precious moments of life. 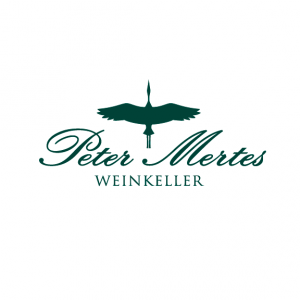 The Peter Mertes Family Vineyards currently comprise more than 60 hectares, primarily steep slopes along the Mosel and Saar rivers. The wine estate includes impressive vineyard sites of world fame such as: Zeltinger Himmelreich, Wehlener Sonnenuhr, Nonnenberg, Graacher Himmelreich, Domprobst, Abtsberg, Bernkasteler Badstube, Johannisbrünnchen, Lay, Bernkastel-Kueser Kardinalsberg, Sommerauer Schlossberg and Trierer Domherrenberg.